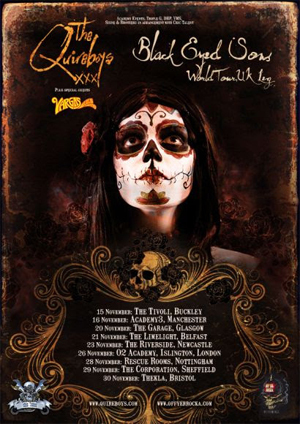 THE QUIREBOYS marked the start of their 30th anniversary by performing three sold out intimate shows and will now embark on a five month world tour which will commence with a long awaited return to the US and Canada in early August. The UK leg will occur in mid-November and tickets go on sale this weekend. Expect new material from the forthcoming Black Eyed Sons, triple pack, rarities plus all the classics. Special guests for the UK leg will be Hispanic blues rock legends VARGAS BLUES BAND, who have recently signed to THE QUIREBOYS label, Off Yer Rocka Recordings.